When the U.S. went to war in Iraq during the first Gulf War, Robert Stanek was there. He lived and breathed combat from the opening days of the war to its end and beyond. In this book, this best-selling author chronicles the military life, his experiences in the war with vivid accounts of combat training before the war, reflections on life, family, duty, honor, and love, and remembrances of combat missions into the heart of Baghdad. 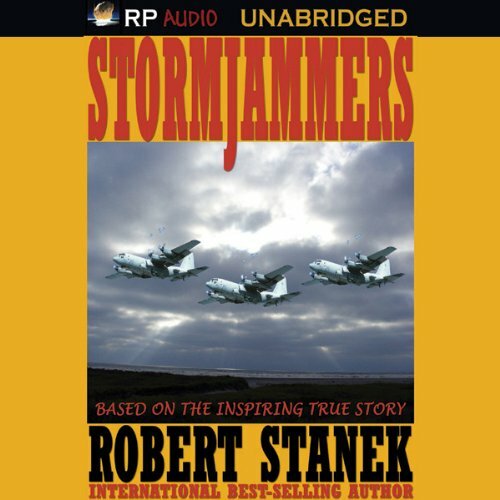 Candid and fast-paced like the best combat memoirs, Stanek focuses on the men and women he flew with, telling their stories as well as his own and creating what is ultimately an inspiring and uplifting story of the human spirit challenged by the agony and terror of war. Based on the inspiring true story, this is the only book about electronic warfare operations in Iraq written by a military flyer who was there. Robert Stanek's experiences in the Gulf War changed his life and helped drive his successful career as a writer and entrepreneur. To date, he has written and had published over 50 books. His books are sold all over the world and have been translated into many languages. His distinguished accomplishments during the Gulf War earned him nine medals, including our nation's highest flying honor, the Distinguished Flying Cross. What would have made Stormjammers better? If the book had NOT had everyone but the narrator sound like Gomer Pyle. Talk a little more about what the EC-130's do and their tactics. I realize Opsec is always a concern but there are ways to talk more about the mission and capabilities without breaking any laws. Would you be willing to try another one of Ron Knowles’s performances? Great talent but I doubt it was his decision to tell the story with varying versions of a Southern drawl. It told a good story at moments.